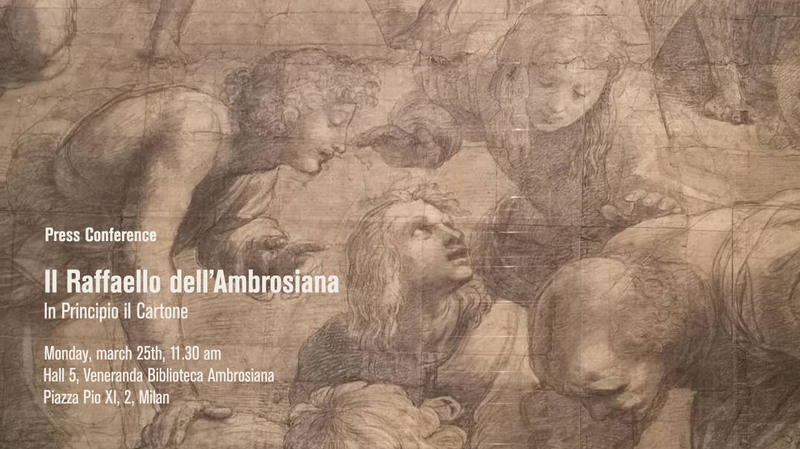 Monday, March the 25th at 11.30 a.m., at the Veneranda Biblioteca Ambrosiana, Stefano Boeri is going to take part to the press conference of Raphael’s Cartoon restoration and he is going to present the new set-up pf the room he designed to host the biggest renaissance cartoon drawn entirely by Raphael. “All of our set-up choices, starting from the approaching sequences the great Cartoon, are designed to prepare the public for the vision of a work that holds – intact – in itself a wonderful conjunction of meanings, being at the time a finished work and yet destined to be the preparation of a final work,” Stefano Boeri. The event sees the participation of: Mons. Marco Ballarini, Prefect Veneranda Biblioteca Ambrosiana, Ing. Raimondo Latini, for RaMo spa, Dott. Giovanni Gorno Tempini, President of Fondazione Fiera Milano, Arch. Antonella Ranaldi, Soprintendente, Dott. Maurizio Michelozzi, director of restoration team and Mons. Alberto Rocca, Director of Pinacoteca Ambrosiana.